It's that time again! Time to admit to the fact that I spend much time on the internet. About a year ago I shared my favorite blogs, vlogs, and websites of 2014. And, yes, those are still some of my favorite places to visit on the web. (In fact, you may see one of them on this list as well.) But, it is now time to focus on my favorite YouTubers! And... even share some of my son's favorite YouTube channels. That's right. My preschooler watches YouTube (via Apple TV.) Obviously he is limited in what he is even allowed to watch but there are some great kid friendly channels out there. And apparently my son isn't alone in his love for "surprise eggs" and toy reviews. (Seriously...its a trend.) So... Let's get started! Yep, I am still watching Leigh Ann. And she even started a blog channel title LeighAnnVlogs. I love her fun, bubbly personality. She's fun to watch, has great beauty tips (especially when it comes to drug store makeup), and reminds me of a few of my girlfriends. Bunny, aka Grav3YardGirl, is real life friends with Leigh Ann, so they often do crossovers on each others' channels. Bunny is upbeat, high energy, and adorably quirky. I love her "Does this thing really work?!" segment and her "Tea Vlogs." She has over 6 million subscribers, so I'm not alone in my love for her. Jenna was the first YouTuber I started following years ago (pre-baby time) and have watched her adopt two dogs, move across the country, go through a rough breakup, and move in with a new love. She's funny and off-the-wall random... sometimes seriously inappropriate. And that's why I love her. She's very different than what you usually see on YouTube. Foul language is present. No, for real. Lots of f-bombs. So if you're easily offended this may not be the channel for you. But, I personally, don't see myself unsubscribing to Miss Jenna anytime soon. I just started following Rachel this month, but she has become a quick favorite. I love her makeup tutorials, Pinterest tests, and product reviews on RachhLoves. RachhLovesLife is a little bit more of a vlog channel and a place where she talks a little more about mommy life and even goes into detail about her labor experiences. Both channels are fab. WhatsUpMoms is comprised of three moms. Each of them have their own interests and focus on different things in their videos. 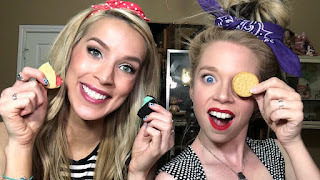 I love Meg's recipes, Elle's tip videos, and Brooke DIY project videos. This channel is a great resource for moms to discover new hacks and there is a little comedy thrown in as well. Every once in awhile they combine forces to do parodies and skits. This channel features three kids and their parents testing out, reviewing, and playing with toys. This is the channel I am most comfortable with because they are always appropriate. No bad language (not even "Oh my G*d), bad behavior, or anything awkward to worry about my son repeating or mimicking. They also put their all into theming their videos and often dress up and play the parts of different characters and act out short skits. This is another toy review channel but they also have a lot of Vlogs including their trips to the Disney Parks and vacation to Hawaii. They also have the kids participating in different challenges, parodies, and skits. The kids and dad seem to have a lot of fun together and there is a lot of silliness. When my son feels like switching it up after watching toy review video after toy review video, he often chooses HowdyTunes. This is another channel that I am extremely comfortable with because it is super kid friendly and appropriate. 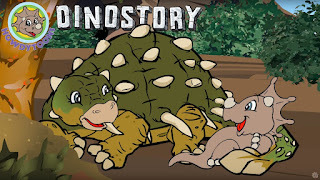 My son specifically likes the DinoStory section. 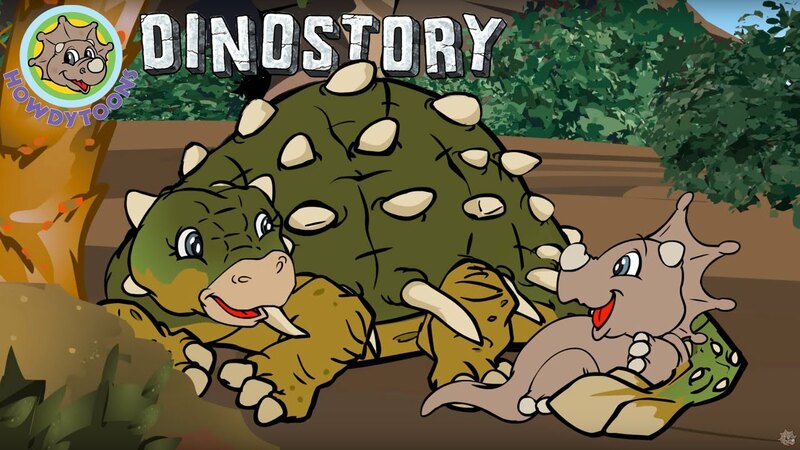 These are catchy (...you'll be singing them for days) songs with educational lyrics about different dinosaur species. Kid friendly cartoons accompany the songs. Yep, just as the title suggests this is another toy review channel. Though from what I've seen its strictly toy review without any other gimmicks. Surprise! Its a toy review channel with kids. The dad films while the kids (a little boy - Hulyan and a little girl - Maya) play with toys. The dad also reviews the toys as the kids are playing with them; pointing out pros and cons of each product.